Bitcoin was invented alongside Blockchain in 2009 and over the years has gone from being worth a few cents to currently being worth $1,700 USD per bitcoin. A bitcoin can be split into much smaller sizes, so if I wanted to send someone just $100 USD, I could send them 0.06 bitcoins. The rise of bitcoin has seen a lot of nerds get extremely wealthy very quickly. Blockchain is the underlying technology that allows Bitcoins to be moved around and verified. It works just like the internet. When you loaded this website, your computer sent a request to your ISP. The ISP then sent this request to a server (another computer) that stored this page and the server sent the data of this page back to your ISP which sent it back to your computer which converted it to what you see now. All of these connections could be routed through millions of different computers all connected to the internet. This is known as a distributed system. The Blockchain is a distributed database that has a ledger that is tamper proof and continually updated. There is much more to it and you can read more about it here. The Blockchain is the most important new creation here. Bitcoin is just one way to use a blockchain. Before the Internet was invented, not much changed in the world of sportsbooks for hundreds of years. The first online sportsbooks came onto the scene in the mid 90’s and since then, traditional bookmaking has changed dramatically. In the past two decades after the first internet bookie, there has only been one real revolution in the world of Sportsbooks. Betfair came onto the scene in the year 2000 with a new idea that was ahead of its time. They created a peer to peer betting platform that allowed people to bet against other people. This allowed an individual to become the bookmaker. Note: The Betfair guys were way ahead of their time and also tried to start another business that allowed people to buy a small chunk (brick) of residential property. That business was too early and failed, but 17 years later we now have a heap of companies offering the same service and doing really well. Over the last 17 years, not much else has happened. The business model has changed but there isn’t much difference in how you placed a bet in 1995 to how you place one now. You need to create an account, become verified, deposit money, find the market you want to bet on, place the bet, and if you win, withdraw back to your bank account. From initial deposit to getting your money back takes at least a few days. As you know, it is illegal for Americans to bet online. That didn’t stop a lot of sportsbooks from letting Americans bet. But it was always a struggle to get around the banks and pay a winning customer. So when Bitcoin came onto the scene in 2009, one of it’s first applications was by these US facing sportsbooks. Here was a way for customers to deposit and withdraw almost instantly, with no governments or banks in between the transaction. Books such as 5Dimes allowed customers to deposit via bitcoin, converted that payment into USD for them to use on their site and then if they wanted to cash out, they would convert it back to bitcoin and send it to them. Stage two of this which has happened in the last 5 years was for Bitcoin only sportsbooks to open. This allowed a customer to deposit and bet with bitcoins only. There was no currency conversion at all. These stages are just incremental stages. The next stage is what has the real potential to shake up the entire betting industry and put your current favourite sportsbook out of business. But first, let’s look at the current pros and cons of betting with Bitcoin. no credit card chargebacks for the bookmakers. Bitcoin is volatile: Right now the price can go up or down by 10%+ each day. So you might bet 1 bitcoin which you assume is $1,700 and by the time that game has ended that bitcoin may be worth $2,000. Worse still if the bitcoins are being converted to a currency first, you might deposit 1 bitcoin which converts to $1,700 and then over the course of a month double that to $3,400, but when you go to withdraw, the price of bitcoin has doubled and your $3,400 is still only worth 1 bitcoin. Bitcoin is untraceable, so if your account is hacked, a criminal can take all your coins and you have no way to ever get them back. There are thousands of companies working on Bitcoin right now to solve most of these problems. Over the next few years, bitcoin will be as easy to get and use as normal currency is. With more and more countries imposing restrictions on where their citizens can bet, betting via Bitcoin will continue to grow. I see a stage in the next 10 years where bitcoin is accepted as the global currency and every website will offer it as a deposit and withdrawal option. But as I mentioned before, Bitcoin isn’t the thing that has the potential to change the entire online betting space. It is the underlying blockchain technology that will have the biggest impact. There are currently two players in this market. They are building a prediction market on top of the Ethereum blockchain. Augur was the first to launch and currently has a market cap of $175m, its competitor is Gnosis, which has a market cap of $133m. Both these companies are not pure betting companies. They are going after “prediction” markets. You could bet on anything from share prices, the price a painting sells for, celebrities, and off course sporting events. Anyone can create a prediction market and set a price and people can start trading on it. Just like Inception, they have created an application like Betfair, on top of their service, on top of a blockchain platform. This is a decentralised platform, it is up to the community to create the markets, bet on them and settle them. A decentralised system doesn’t work without incentives to keep it running. Bitcoin requires a lot of computing power to continue to run the network, so it gives the people running these computers incentives in the way of Bitcoins and mining fees. These prediction markets will do a similar thing with their own digital currency. So if you create or grade markets, you will be paid a small amount for doing so. Eventually, there will be a secondary company (or bookmaker) who creates all the sporting markets and grades them and collects a small fee for each one. This means we will see 100% markets like Betfair has, but with no 5% commission added. The commission is likely to be less than 0.1%. Unlike Betfair, which is a publically traded company and can not accept wagers from countries that have certain betting laws, these platforms will run worldwide and have access to much more liquidity. They will also have all the benefits mentioned early. Betfair should be shaking in their boots. Coming very shortly is an exact replica of their site with more liquidity, more security, much less commission, no premium charges and no central authority. Blockchain is going to have a devastating impact on their business model. It will be an even more monumental change then they created just 17 years ago. They still have at least 5 years to adapt, and they have a very strong brand name, so they won’t go out of business, but they, along with all the other current bookies, will be taking a smaller cut of the overall gambling pie. We also have a third player in the blockchain betting market. One that is purely being created for betting. Peerplays is the platform being built and Bookie is just one application they are building on top of it. They will create the markets just like Betfair and other bookmakers do and allow everyone to trade on it. Bookie will use Bitcoins as their payment methods and take a small cut from matched bets. The platform is due to be released at the end of this year. There is going to be a lot of competition in this space. As most of the code is open source, it is not that difficult to create a platform to run on the Ethereum network. I can see a consortium of the current UK bookies banding together to create their own blockchain betting platform. Things look pretty rosy for punters. In the not too distant future, we will be able to place a bet as big as we want into a 100% market. We won’t be banned or limited if we win and we will be paid out as soon as the match is finished. If a single distributed sports betting platform is created that nobody actually owns and it becomes the biggest bookmaker in the world, it really will shake up the entire gambling ecosystem. But, and there is always a but. This amazing new technology will open up the betting markets to a whole new slew of very smart people looking to take advantage of small-time punters. The same people who take advantage of the stock market with high-frequency trading will do the same with this new platform. We can see this on Betfair now, but it will get 100x worse. If you are a regular punter hoping to just get your bets on, you will be very happy. But anyone looking to make some decent profit will find it even more difficult. Every new technology has its upsides and downsides. I also see a heap of funds being set up to trade on this new platform. You will be able to invest in them just like you invest in managed funds on the stock market. This is just the very early stages and there will be changes to the betting markets we could not have even imagined. But as Karr so eloquently put it, “the more things change the more they stay the same”. 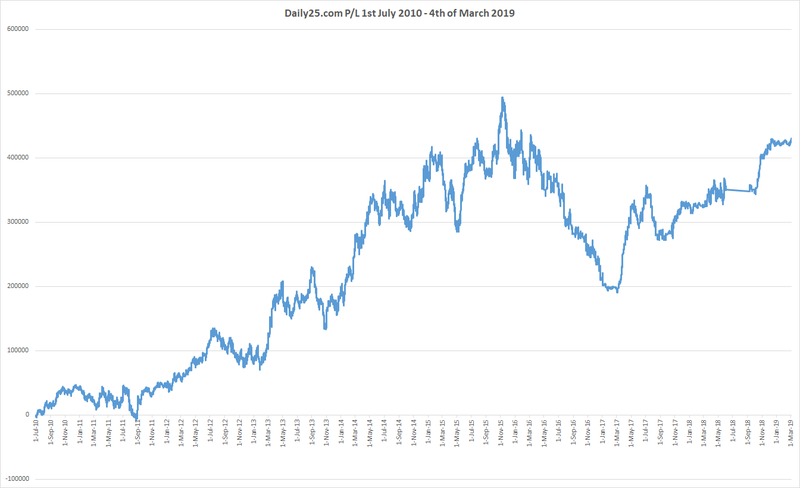 Just like Betfair did 17 years ago, there will be disruption to the industry, but if you enjoy the current way things are done, never fear as they will still be around for a long time as well. Great post Steve, but I think the enthusiastic predictions for when some of these changes will happen are ambitious. There certainly will be a niche using these types of services as soon as available but to reach the mass market of retail punters will take quite some time I think … punters who live and breath the opportunity will be the first movers and those not able to get set currently, also quick adopters. But any marketplace requires a diversity of participants for it to be healthy and we’re talking about the loss making recreational (retail) punter here. I know from my early days at Betfair that even with “20% better odds” it was not enough to capture the clicks, let alone wallets, of the recreational punters. They aren’t interested in the complexity and are creatures of (losing) habit. They really want simplicity, speed and choice to offer them engagement and the hopes, dreams and anticipation that comes with a bet. The pros will naturally gravitate to those places that they can exploit, and regulated, monopolistic tote markets like in Japan, Hong Kong and France which are teaming with recreational punters are very inviting. But, as usual, interesting technological times in this space which has a history of leading and innovating. Thanks for the article I think I’ll take a punt and buy a small share in this bookie just so I can market it (as an affiliate) eventually. Although I would imagine if it’s successful anyone will be allowed to do that. Slightly unrelated but I think one of the most important things in life (and gambling business) is a want to learn and a willingness to make mistakes. ps I think I’m half assing to many things at the moment I guess I’ll find out soon. I do agree with you. The mug punter will still be attracted to the bookmaker who offers him refunds and free bets. They do not care about getting the best price. But just like with Bitcoin, as more and more people talk about it and use it, it will grow and potentially become the major way people transact. But it will be a very slow process. I doubt affiliates will work for these new types of bookmakers, as their is no single entity making a profit. They all have ICO’s (Initial coin offerings) and this is one way to own a part of the platform and receive returns. Thanks for this very informative article Steve. Out of curiosity, so do you think buying some Btc today could be a good investment? I am talking about long-term, something like 10 years. I think in 10 years time it will be worth $0 or 5 figures per coin. The odds on either would be 50/50. So if we are looking at it as a value bet, I think there is value there. Yes, I agree with you. And let’s not forget about China either. 🙂 Thanks for your reply mate! I was buyin bitcoins for $5 and $10 in June 2011 to May 2012 and people called it shitcoin and said it was in a tulip bubble. I lost money for over a year holding bitcoin that I had bought for $17 but then it started to go up to $40 and I was so excited. The rest is history. Bottom line bitcoin has a long long way to go.It is in it’s infancy stages.Cryptocurrencies and blockchain technology are revolutionising the planet as much or more than the internet itself.Of course you should be buying for a ten year timeline. Thanks for your input Martin (I am posting with my second account but I am the guy who asked the question above). I bought 0.50 BTC recently, which is not much sadly, should have bought before , but I am already in a profit situation. Will hold, and try to earn a bit, to get slowly to 1 BTC with affiliation schemes and all that stuff. Good luck. good luck Music. there is a very limited supply of bitcoin and ever increasing demand whereas the dollar is just the opposite, ever increasing supply and declining demand so to me it obvious that bitcoin will increase in value compared to dollars. 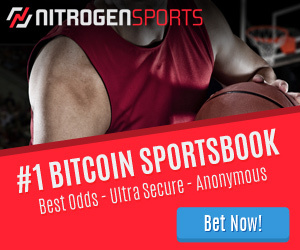 In regards to those “free bets” being attractive – I have just started betting with Nitrogen sports and noticed that they have some very attractive survivor pools running for NFL and also an interesting NBA promo, that could be used in pairing with the Sport Punter predictions.